When two thoroughbreds are fighting one another in prestigious races, rivalry can easily reach its climax and set the stadium on fire! To keep you waiting until your next thrill, we compiled some of the most amazing head-to-head in the recent history of horse racing. American fillies Blind Luck and Havre de Grace are undoubtedly some of the greatest rivals that we have had a chance to witness on the racetracks in the last 10 years. During their last confrontation, the sixth of their racing careers, in the Delaware Handicap, Blind Luck won the race by a nose. But the competition between the two ladies is one of the fiercest: In the six races, they both ran, they always ranked one position apart only. In five of them, they arrived first and second, but Blind Luck is one steap ahead since she won 3 times, and Havre de Grace twice only. 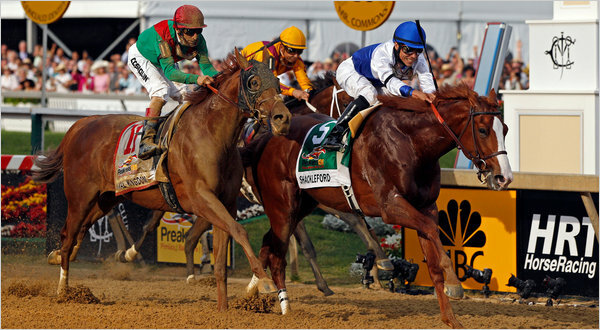 American stallions the Animal Kingdom and Shackleford’s paths have crossed many times during their intertwined careers, but if we should look at the most important race of the two rivals, it would definitely be the 2011 Kentucky Derby. The excitement created by the face-off between the two thoroughbreds was huge and took place before a record crowd of nearly 165,000! With odds of 20-1, Animal Kingdom surprised the racing world when he stole the victory in the very last stretch of the race, and Shackleford, who led for much of it, suddenly faded to the fourth position. But Shackleford took his revenge not long after, when he won the 2011 Preakness Stakes, a couple of weeks after his defeat only, and left the Animal Kingdom to the second place. When the two athletes last clashed, in the 2011 Belmont Stakes, Shackleford led for much of the race and finished fifth, one spot ahead of his rival. One of the greatest Caulfield Cup was run in 2004, when Australian legend Makybe Diva was narrowly defeated by Elvstroem down the Caulfield straight. That day, Victoria Derby’s winner Elvstroem led all the way, and Glen Boss aboard The Mighty Mare did everything he could to bridge the gap but fell half a length short. The Caulfield Cup the stallion won that day actually remains the only big prize missing to Makybe Diva’s impressive record. But interestingly, in races in which they both competed, Big Elvis finished ahead of her most of the time. 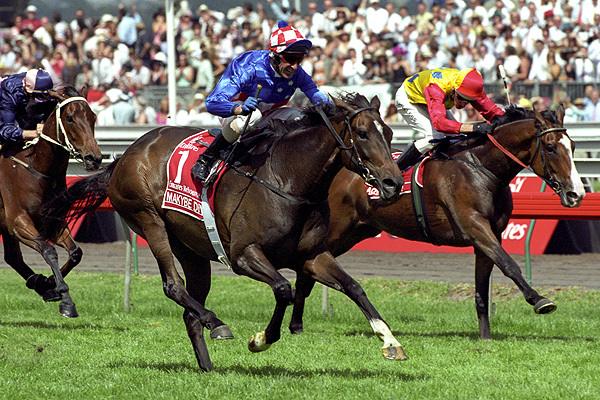 Makybe Diva is one of the only five horses to have won the Melbourne Cup more than once (that she won 3 times – in 2003, 2004, 2005). Up to now, she is, with winnings of more than $14 million, the highest stakes-earner in Australian horse racing history. Crazy, right? What’s, even more, is it’s actually possible to get a big piece of the cake, betting as little as 10 cents: to find out more about those amazing betting stories, check out our article about the biggest sports betting wins! For experts and fans alike, this duel is one of the (if not the) greatest in recent horse racing history. 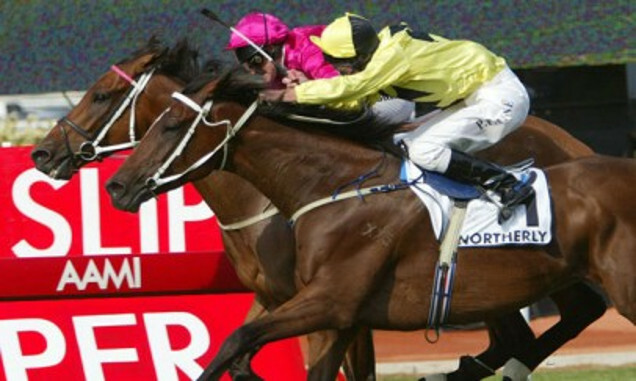 In the 2003 Group One BMW Stakes, the outsider Freemason and the powerful stallion Northerly fought a tooth and nail battle that started from the outset. For the record, Freemason was given little to no chance of beating Northerly, nicknamed “The Fighting Tiger” at that time. Even Australian horse racing expert Max Presnell confessed – in a video about legendary aussie horse races – that he thought Freemason would be the first to crack and Northerly would take the upper hand. But 21-1 chance Freemason just didn’t lie down. Northerly was a magnificent stallion, known for his toughness, but on that day he has been outmuscled by stronger than him. Some even say Darren Beadman aboard Freemason rode the greatest race of his career that day. At the Group One level, and previously to the BMW Stakes, Freemason had won the Queensland Derby and finished 4th in both the Mackinnon Stakes and the Caulfield Cup; 6th only in the Melbourne Cup. 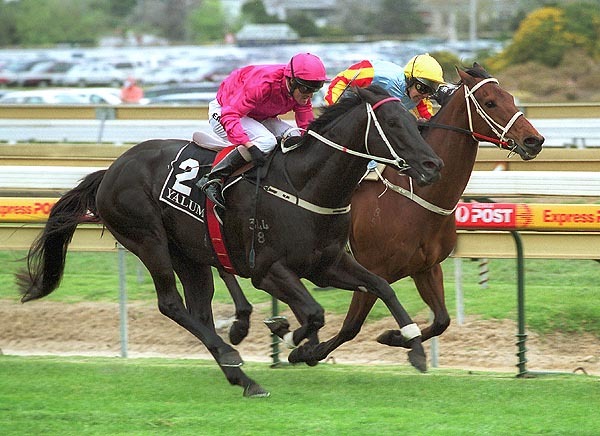 This clash, taking place in 2002 at the Caulfield Stakes, features Sunline, a heavyweight champion, and Lonhro, a young prodigy also known as “The Black Flash”. Lonhro, 4 years old at the time, had already built up a solid record that included 11 wins and 3 placings from 16 starts. This promising thoroughbred had already proven he was a level above his own age group but was looking for a big name to rip apart, to really establish his reputation. As the Caulfield Stakes was Sunline’s penultimate appearance, fans were hoping that one of Australia’s best racehorse would bow out of racing with a win in the Group One. Unfortunately for the mare, even though she dominated the tough fighter during much of the race, Lonhro produced a killer change of speed and kept lifting until he eventually claimed the lead, at the very end of the race! Over the next couple of years, Lonhro would dominate Australian racing, culminating with an impressive record: 26 wins and 4 placings from 34 starts, which include 11 Group One wins. Respected horse racing expert Bill Whittaker considers Lonhro to be the best Weight For Age horse since Kingston Town who, between 1979 and 1982, won 30 of his 41 starts, becoming the first horse to have won more than $1 million! As for Sunline, even though her defeat took some gloss off the day, it didn’t really affect her image in the eyes of her legion of fans. The 2019 Melbourne Cup race, will be run on Tuesday 5th November at 3 pm at Flemington Racecourse. Read the Melbourne Cup guide and find out how to pick a winner and the best betting tips.